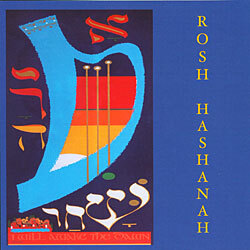 Notes The Holy Blossom Temple Singers, under the direction of Cantor Benjamin Z. Maissner, captures the many meanings of Rosh Hashanah in this beautiful and inspiring album. At once joyful and nostalgic, uplifting and life affirming, the songs reflect the depth of our religious and musical heritage. Among the sacred and secular works the cantor and chorus perform are Sh'ma, Avot G'vurot, Ki Lekach Tov, and of course Hal'luyah and Adon Olam.